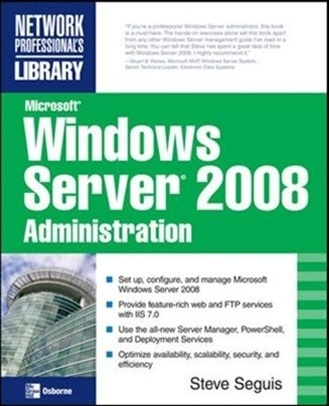 Exploit the powerful management, networking, and security tools in Windows Server 2008 using the comprehensive information contained in this real-world resource. 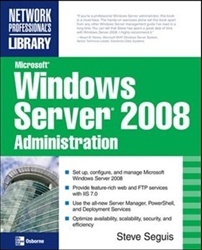 Written by a seasoned Windows systems engineer, Microsoft Windows Server 2008 Administration lays out each feature alongside clear explanations, practical examples, and hands-on exercises. Inside, you'll learn how to deploy Windows Server 2008, use the new, integrated Server Manager tool, handle Internet services and remote access, and fine-tune performance. You'll also learn how to automate administrative tasks, create reliable system backups, and harden your server's defenses. Steve Seguis is a Windows Systems Engineer who has been managing Microsoft Windows environments for more than 10 years. He was a Microsoft Most Valuable Professional (MVP) for Windows Server Admin Frameworks from 2004 to 2007 and is a contributor writer and technical editor for Scripting Pro VIP (formerly Windows Scripting Solutions) magazine. His specialty is in systems management and automation.